My father died a few weeks later. During the tough Tiger times, it was Matthew Richardson who gave the Tiger supporters a reason to come to the footy. He was a hero to a generation of Tiger supporters. 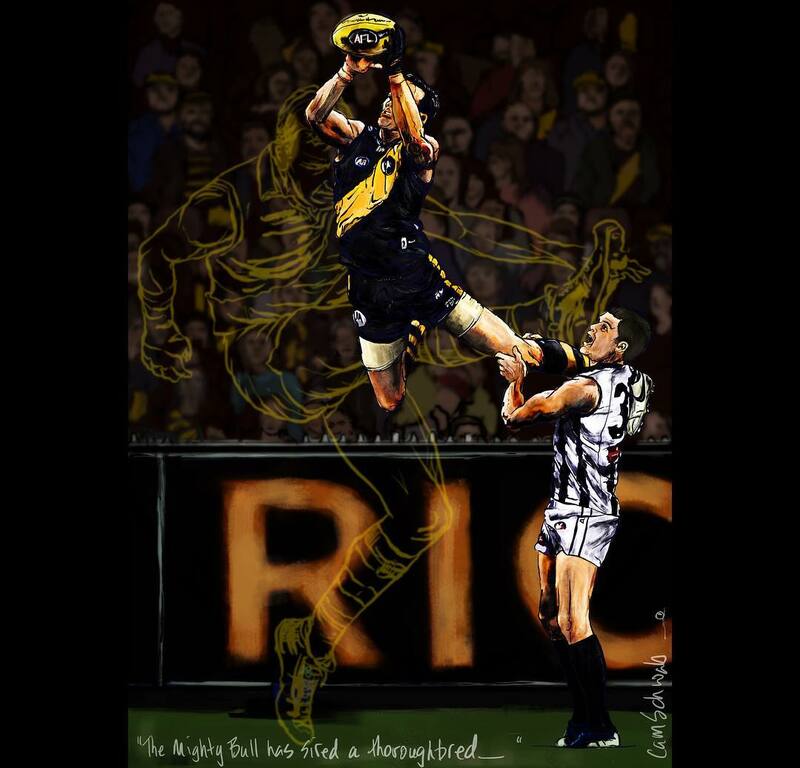 This is my drawing of Matthew, with his father Alan silhouetted in the background, marking in typically spectacular fashion against the old enemy Collingwood in front of the Tiger faithful.